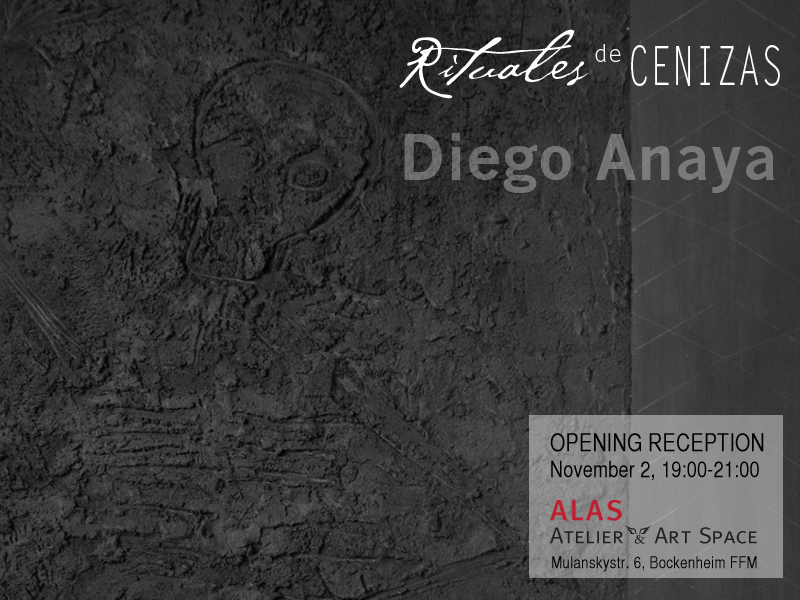 The exhibition Rituales de Cenizas by Mexican artist Diego Anaya presents works from his series Ashes + Origins. These works and their process are ceremonies where homage is paid to customs and traditions. Death for Mexicans is not a taboo, on the contrary, it’s a celebration of life itself and this body of work is dedicated to celebrate life and death. 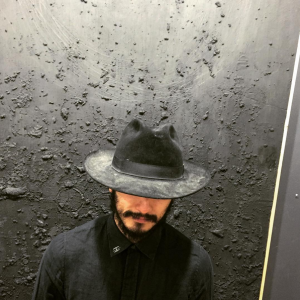 Diego uses ashes to tell stories of those who had passed away. The process of each work is a ritual where the materials have a life of their own, where gestures, words, marks and lines inflect in the surface of the canvas and where objects offer the opportunity to be reborn. This exhibition is anchored in the mystical pre-Hispanic celebration of the day of the dead; offerings, candles, prayers and mezcal are present in a visual dialogue that awaken the conscience. Diego Anaya is a Mexican born visual artist based in New York. His work includes a wide and diverse range of mediums such as painting, drawing, sculpture and installation. Regardless of the genre they share a common goal, to explore the intricate relationships between soul, mind, love and life from a personal and a social perspective. Diego was introduced to the art world through an apprenticeship at the studio of artist Guillermo Canseco in Monterrey, Mexico back in 2008. Diego has received numerous awards and residencies worldwide and has exhibited his work in the United States, Mexico, Taiwan, Ghana and Chile. This is his first residency and solo exhibition in Europe.